You want to look for peppers that are between two to five inches long, bright green and firm. Keep them in the crisper drawer of your fridge until ready to cook. When you are ready to cook, the higher the heat the better. Shishitos are thin-skinned, allowing them to char quickly and easily. We place them on the grill, but you can also place them under the broiler or in a hot skillet on the stovetop. Once cooked, they are best when eaten immediately. 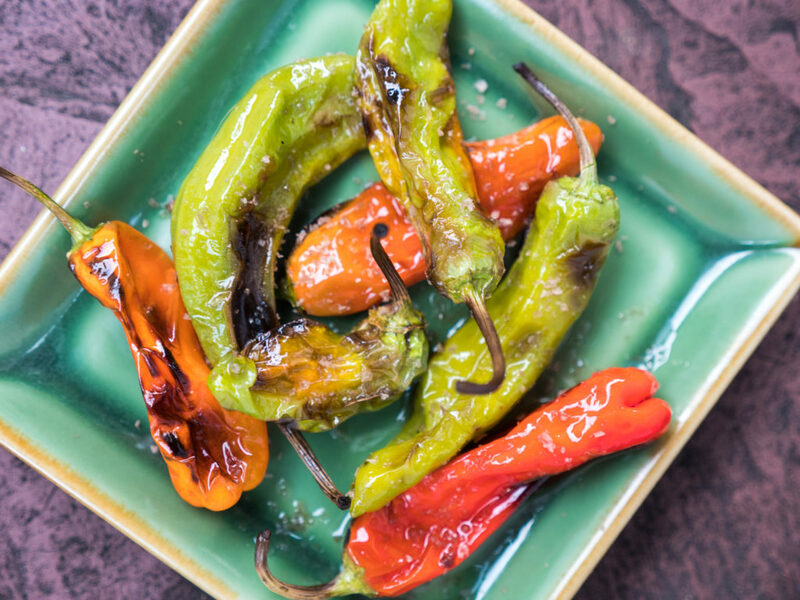 The interplay of smoky, oily and salty makes these peppers an addictive snack or side dish to grilled meats. In a large bowl, toss the washed and dried peppers with the olive oil. Return the peppers to the bowl; season with salt to taste and serve immediately.